Bring some classic retro style to your home and adorn your coffee table with our range of vinyl products. Set of 6 coasters. 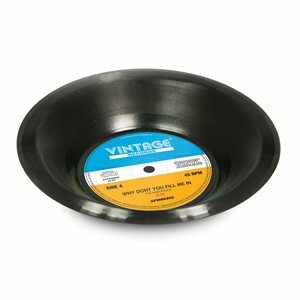 We love all things vintage and think that this gloriously cool bowl which is made to look like a real original, moulded record is the perfect addition to any retro home. Keep your favourite album cover artwork on display with this unique snap together Record Frame. The ideal wall clock for vinyl fans.